These are the steps to root Samsung Galaxy Grand Prime smartphones running on Android 4.4.4 KitKat using the Odin flashing tool and a Windows computer. You should wait a few days before using this guide if you have just installed an Android software update on the device. Chainfire needs to update the files after some software updates because they come with new bootloaders. Once people give Chainfire the new recovery.img files, he then updates the files and they are ready to use. 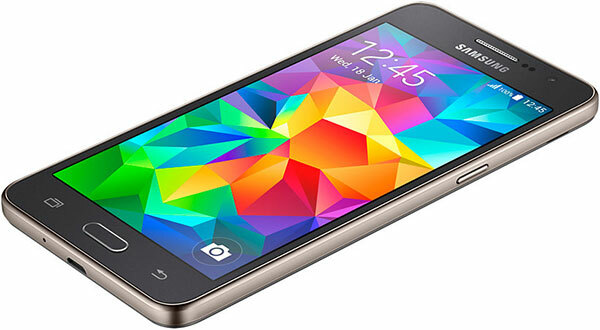 You must have the Samsung Galaxy Grand Prime with the model number SM-G530F to follow this guide. You can check your model number on the Grand Prime device by tapping on the Menu > Settings > About Device > Model Number. Download the Samsung USB Drivers  for mobile phones from the dot Tech USB Drivers page. You should install the drivers before you begin the guide so your Samsung Galaxy Grand Prime, the computer and the programs running on the computer like the Odin flashing tool, can all work seamlessly. Unlock your Developer Options menu from the Grand Prime’s settings by tapping on the Menu > Settings > About Device, followed by the Build Number seven or so times. You know you have tapped it enough when it says you are now using the device as a developer. You are voiding the warranty when you choose to root and install a custom recovery on the Samsung Galaxy Grand Prime smartphone using the guides below. The great news is that you can always unroot and flash the stock recovery back on the device later to get the warranty working again. Enable the USB Debugging Mode option. Do this by tapping the Menu > Settings > Developer Options > USB Debugging Mode. Download the CF-Auto-Root for the SM-G530F smartphone from this link . Download the Odin flash tool from this link . Have the files on the desktop of your computer and right-click over them. Now choose the “extract here” from the menu. Double-click the Odin executable and it will open on the computer. Long-press the Power button so that your Grand Prime device turns off and reboot it in download mode . Connect the Samsung Galaxy Grand Prime to the computer using the USB cable. Click the PDA button from the Odin flash tool’s user-interface and browse the desktop for the tar.md5 file you can see from the extracted file. Click the Start button without changing any of the default settings from the Odin app on the computer. Wait until your Samsung Galaxy Grand Prime display that it will reboot in 10 seconds and it should reboot in recovery mode. You will need to reboot the device into the recovery mode manually if that does not happen. No recovery mode will mean the device did not root. You may now find out how to install a custom recovery on the Samsung Galaxy Grand Prime  smartphone so you can take complete backups and install custom ROMs. A custom recovery will also let you recover the device just as effectively as a stock recovery.